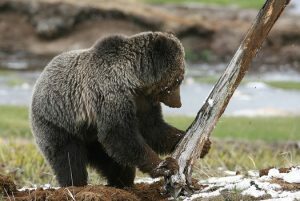 After a record number of grizzly bear deaths in 2018, groups are calling for an update to a decade-old report on conflict prevention. Six conservation groups have sent a letter to the Interagency Grizzly Bear Committee’s Yellowstone Ecosystem Subcommittee. They’re urging members to develop new recommendations for avoiding conflict involving bears, people and livestock and also evaluate how well the 2009 report was implemented.